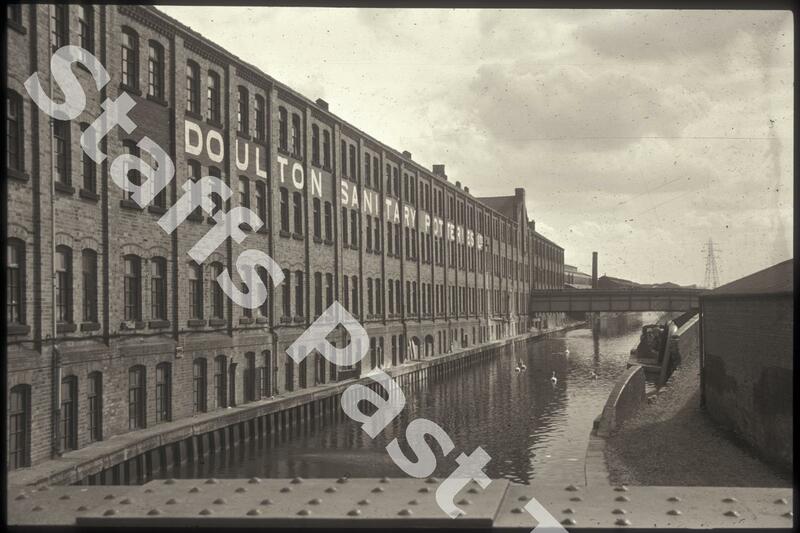 Description:Doulton's Sanitary ware works alongside the Trent & Mersey Canal and Whieldon Road was originally the Colonial Pottery belonging to Winkle & Wood, producing a wide range of earthenware. This photograph was taken looking southwards along the Trent & Mersey Canal. Winkle & Wood moved into the Colonial Pottery from the Pearl Pottery in Hanley in 1889 because it was alongside the canal. They operated here until 1931. Doulton set up the Whieldon Sanitary Potteries in a move from Nile Street in Burslem in the 1930s. 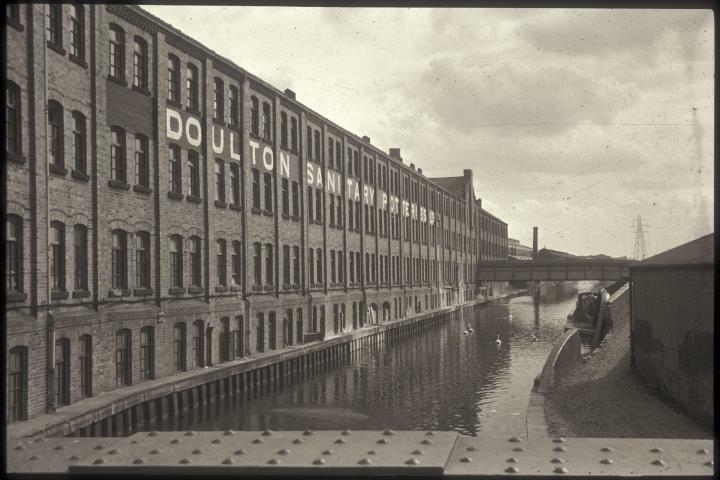 the factory was the headquarters of Doulton Sanitary Ware until 1992. The works were demolished around 2000.